As a freshman at Mizzou in 2010, Rachel Newman had her future mapped out. An elementary education major, Newman planned to earn her degree, become a fifth-grade teacher and eventually be an elementary school principal. However, her time as an MU student led to a slight change in plans. MU alumna Emily Key, journalism and international studies dual major Clare Roth and journalism major Victor Topouria have earned the Critical Language Scholarship. As commencement nears for Savannah Modesitt and Lydia Wilson, new experiences await them halfway around the world. Next fall, Modesitt and Wilson will immerse themselves into new cultures after earning the David L. Boren Scholarship. As roommates, Luke Guerdan and Evan Teters had lively conversations in the apartment they shared. Oftentimes, those discussions revolved around computer science. They never imagined that both would eventually become Goldwater Scholarship recipients. There was a lot for MU senior Christopher Dade to celebrate during the week of Thanksgiving. That week he learned he was a recipient of the George J. Mitchell Scholarship. 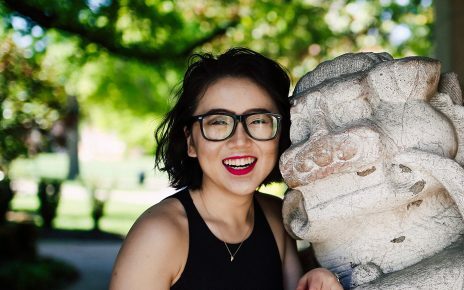 After studying at Mizzou, then working in Myanmar, MU alumna Siyu Lei will return to China after earning the Schwarzman Scholarship. In the following story, I have featured four special alumni, all of whom have been chosen by a select committee to represent the University of Missouri as Mark Twain Fellows, an honor bestowed upon one outstanding candidate to undertake a year of post-graduate study abroad. As an awardee of the 2017 U.S. Department of State Critical Language Scholarship, University of Missouri junior Jacob Waldinger spent the summer studying Russian in Nizhny Novgorod, Russia. A conversation in the backseat of a taxi in India set University of Missouri alumnus Matthew Busch on a path to becoming a Fulbright finalist. One student and one alumna from the University of Missouri are adding to already impressive lists of accolades after accepting the 2017 Thomas R. Pickering Fellowship. Junior Taylor Cofield earned the undergraduate fellowship, while May 2016 graduate Sasha Gubina received the graduate fellowship. Senior Brendan Marsh was not sure why he was being led into the Chancellor’s Conference Room in Jesse Hall. He was told he was needed for a photo, but once he entered, he found a Chancellor’s Staff meeting being held. University of Missouri junior Taylor Cofield has been selected for the Harry S Truman Scholarship, a nationally-competitive award that supports students dedicated to public service. Selections for the Truman Scholarship are chosen on the basis of their academic success and leadership accomplishments, as well as their likelihood of becoming public service leaders. Mizzou ’39 member and Truman Scholar Maria Kalaitzandonakes is out to feed the world. To master the Arabic language, MU junior Taylor Cofield knew she had to do more than take classes and work with a tutor. Studying in Madaba, Jordan this past summer gave her the opportunity to not only practice her Arabic, but to immerse herself in another country’s culture. When Samantha Franks was notified of her selection for a grant from the Fulbright U.S. Student Program her emotions ranged from relief to disbelief. Mizzou junior Maria Kalaitzandonakes has been awarded the Harry S Truman Scholarship, a nationally-competitive award that supports students dedicated to public service. 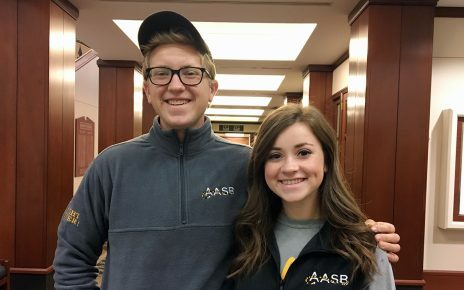 It was the Friday before Spring Break when Helen Bass was summoned to a meeting with the Office of Service-Learning staff. Awaiting her arrival to the second floor of Lowry Hall were MU Interim Chancellor Hank Foley, College of Arts & Science Dean Michael O’Brien and Professor of Economics Jeff Milyo. They were there to make a special announcement: Bass had been selected to receive the Mark Twain Fellowship. 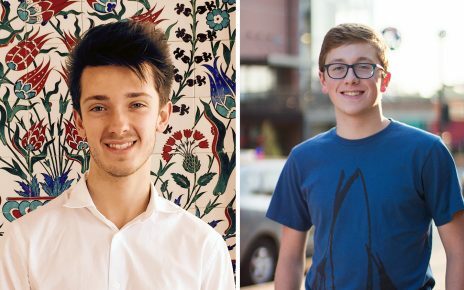 University of Missouri seniors Nicholas Bira and Ethan Zars have earned honorable mention recognition from the Barry Goldwater Scholarship and Excellence in Education Foundation.